The doctor is not always right. Every year in the United States, one out of every 20 patients – or about 12 million adults – is misdiagnosed when seeking outpatient medical care, according to study results published in a prestigious medical journal in 2014. Moreover, the study reported, in at least half of those cases, the doctor’s failure to correctly diagnose a condition caused serious harm to the patient. These statistics don’t even take into consideration preventable errors made in hospitals. Additionally, instances of misdiagnosis in children in the US were not included in the study. 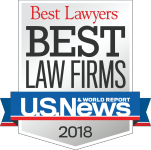 If you or someone you love has been injured due to a healthcare professional’s misdiagnosis of your condition or illness, we understand your desire to get justice for your family. You need and deserve maximum compensation for your injuries. 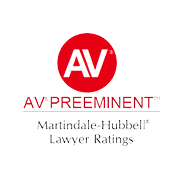 You can rely on the seasoned medical malpractice lawyers at The Law Offices of Andres & Berger, P.C. 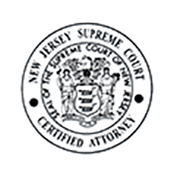 We are well known and highly respected throughout New Jersey for our relentless, and successful, pursuit of justice for our clients. Experts suggest that doctors are often rushed, juggling too many patients or overworked and fatigued. A doctor can misdiagnose a patient’s condition (making a mistake by diagnosing the wrong condition; you are diagnosed with severe headaches, but you actually have an unruptured brain aneurism), as well as miss a diagnosis (failing to make a diagnosis at all; you are told a Pap smear is normal only to find out the test wasn’t interpreted correctly and you have cervical cancer). Either of these mistakes can lead to critical, life-altering injuries. Ordering the wrong tests, such as x-ray, CAT scan or MRI, or failing to be thorough with testing, such as not ordering a complete blood workup to rule out less obvious issues. Failing to ask the patient questions that would lead to capturing a full view of the patient’s medical history. Interpreting diagnostic tests incorrectly, resulting in either a wrong diagnosis or complete failure to make a diagnosis that would lead to treatment. The JAMA study found that symptoms most often overlooked by doctors during patient exams include abdominal pain, shortness of breath and a cough. All of these can be chalked up to common ailments but are also signs of serious conditions that, left untreated, can cause disastrous results. If you are in Camden or Burlington County, and you are suffering from a condition that should have been diagnosed by a competent doctor but wasn’t, you deserve to be compensated for your pain. We have helped countless families in Cherry Hill, Voorhees, Mt. Laurel and throughout South Jersey win damages for their injuries caused by negligent doctors. 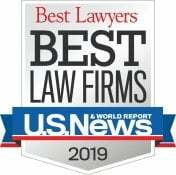 The successful and award-winning Supreme Court Certified trial lawyers at The Law Offices of Andres & Berger, P.C. have a combined 70 years of experience representing good families, like yours, who have been victimized by negligent physicians. 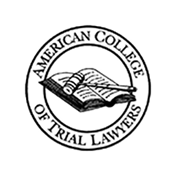 Our reputation precedes us; insurance companies and other lawyers know that we are tenacious when it comes to fighting for our clients’ rights. 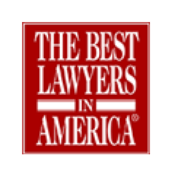 If you have reason to believe that a physician has misdiagnosed you or a loved one, it’s critical that you contact the skilled and knowledgeable medical malpractice lawyers at The Law Offices of Andres & Berger, P.C. right away. 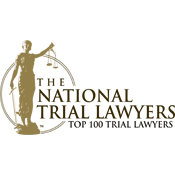 When it comes to filing a personal injury lawsuit for medical mistakes, there is a strict two-year statute of limitations in New Jersey. Speak to a member of our savvy legal team today, for free, to obtain sound legal advice and get an analysis of your case. Rest assured that we will fight for your rights and maximum compensation for your family.